In November 2009, the EP Our Twilight was issued, and included four songs. Strangely enough, the same year came out an album by another Finnish band Swallow the Sun, called New Moon. Some people noticed a connection to Stephenie Meyer’s Twilight saga of vampires, her novels being Twilight and New Moon. When Laine was asked about that, he said he had never heard of these vampire movies or books. 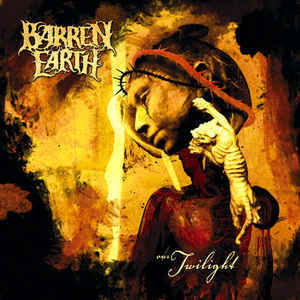 Shortly after the EP had been issued, Barren Earth performed its first gig, in the club Dante’s Highlight in Helsinki. However, the LP coming up on March 2010, most of the festivals had already been booked bands for the summer 2010. Barren Earth had a gig on Tuska Open Air Metal Festival, though. In February 2011, the band played a five-week tour in North America under the name “Finnish Metal Tour 2011”, alongside other Finnish bands including Finntroll, Ensiferum and Rotten Sound, gathering support for their album that would officially be released around two months later. 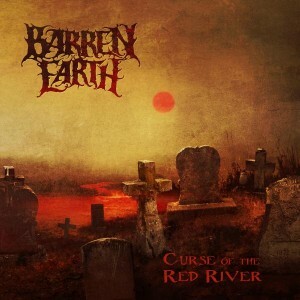 On 31 March 2010, the band issued their debut album, Curse of the Red River. One of its nine songs was the title song of the previous EP, “Our Twilight”. The album received very positive reviews. 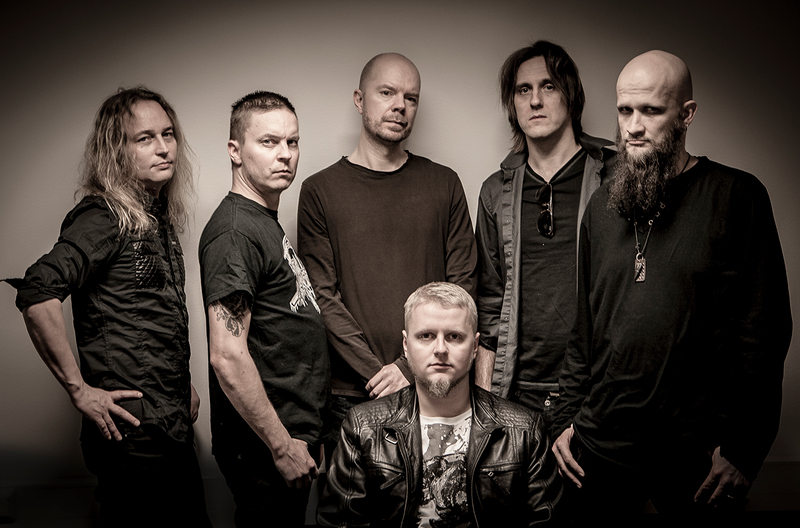 The band went on to receive the title of “Newcomer of the year” in 2011 at the Finnish Metal Awards, and “Best debut album” at the Metal Storm Awards 2010. On various websites dedicated to metal bands, it was told that the band’s second album, The Devil’s Resolve, containing nine songs, was due to be released on November 2011, once again by Peaceville Records. The Devil’s Resolve is said to contain even more 1970s progressive influences while keeping the brutality associated with the band. On their website, the band stated that, originally, twelve songs were written. However, on the band’s Facebook page the band told that because of delays in the production process the second album would not take place until February/March 2012. On 29 February 2012, the band released the video “The Rains Begin” from their upcoming album. 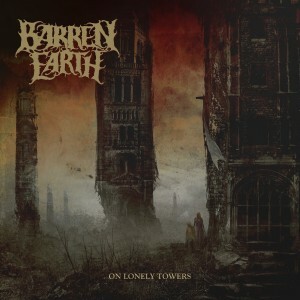 Barren Earth revealed on January 28, 2015 that their new album On Lonely Towers will be released on March 24, 2015 by Century Media Records. In 2014 the Faroese singer Jón Aldará joined the band as the new lead vocalist. He is also known from the Faroese metal band Hamferð. 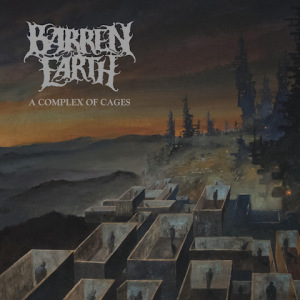 Barren Earth’s fourth album A Complex of Cages saw the dawn just before the Easter 2018. The band and their audience celebrated the new-born record on Good Friday evening in a record releasing gig at Kuudes Linja club in Helsinki, supported by a local metal group Oceanhoarse. This album is the second with Jón Aldará as a frontman, but what’s new, it’s the first one with him taking more part in the action than just his singing duties. Almost all the lyrics on the record are contributed by Jón Aldará (“Solitude Pith” being the exception with lyrics by Laine). The man is responsible mostly of the melodies, as well. According to Olli-Pekka Laine Aldará was given free hands on the lyrics, and they will not be discussed at all amongst the bandmembers. “As long as our songs are not telling about slaughtering the whale, anything will be fine by me”, Laine says. “Solitude Pith”, written by Laine, was already done before Aldará begun his lyrical working. Seems that song gave him some ideas, and then that theme emerged into penetrating theme for the whole album. Aldará writes about people isolating, and suffering from different mental issues such as manic depression, psychopathy and agoraphobia. A Complex of Cages is also the first Barren Earth record made with absence of keyboardist Kasper Mårtenson, who is more or less engaged with Turisas as their live keyboardist. His successor Antti Myllynen has big boots to fill in after Mårtenson, but seems like he has managed to wriggle into the band’s sound. The line-up change of Mårtenson leaving could have been a heavy blow to the band in a composing sector, since he has been writing about a half of the material whereas Olli-Pekka Laine has been the mastermind behind the other half. 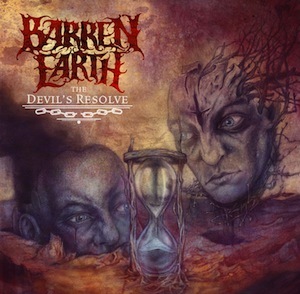 Barren Earth, however, is a band of talented people working together. While Laine is still the man behind most of the composing, there’s also Sami Yli-Sirniö, Janne Perttilä and Marko Tarvonen giving their own effort. The forth record has gained positive accolade by the reviewers, hailing it the best Barren Earth album so far. What’s pleasing is the whole record being balanced mixture of brutal yet melodic, experimental, metal yet prog, more proggy less folky, versatile and inspiring with catchy choruses. Jón Aldará, now singing the lyrics mostly according to his own mind and will, rises up from the depths of heavy growls into the heights of clear, even operatic vocals. A Complex of Cages includes one over ten minute song, “Solitude Pith”. On On Lonely Towers there’s one of those giants as well, namely the title song. But here, on the contrary to “On Lonely Towers”, that mighty giant of “Solitude Pith” does not crumble the flow. The band itself thanks V. Santura (Triptykon) of his involvement on producing the record.